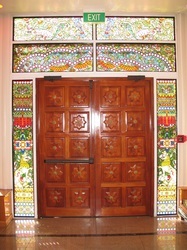 "Windows to the Spiritual World." 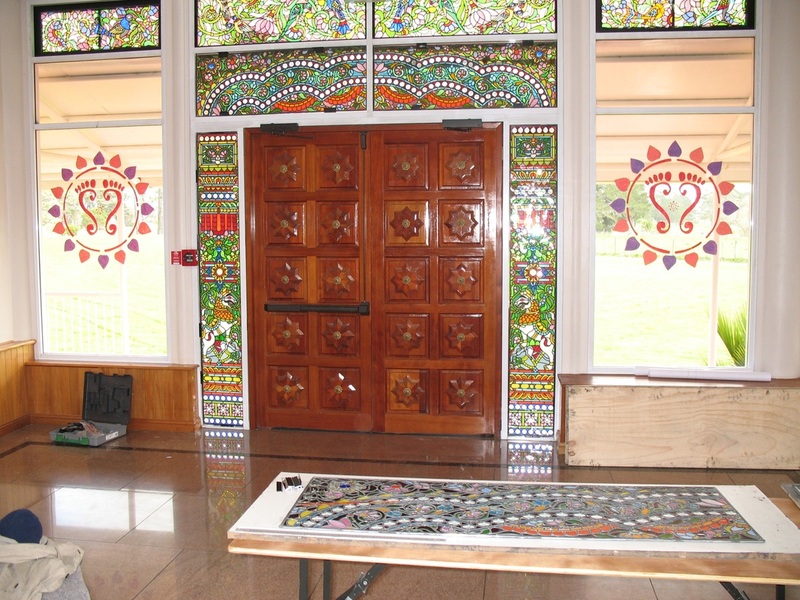 Jaipur is a city renowned for it's art and handicraft, therefore we felt that this temple should not only serve the devotees, to increase their bhakti, but it should also inspire people from all over the world to understand Vedic Culture through Art. 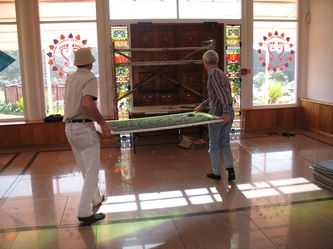 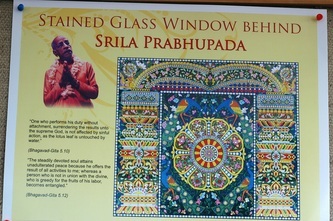 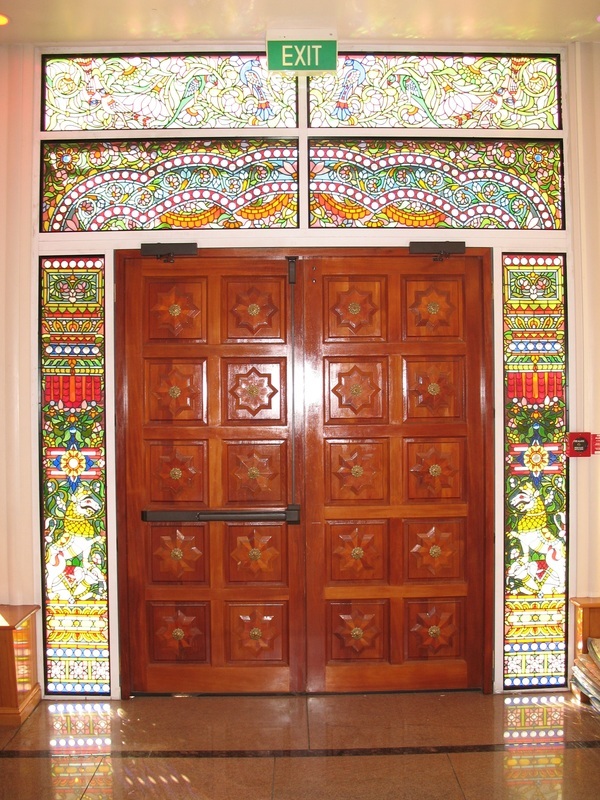 With this in mind we have decided to present the "Windows to the Spiritual World Gallery". 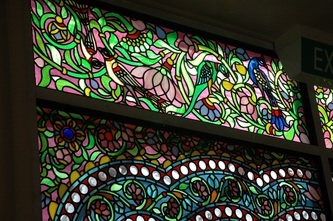 Fifty Two Stained Glass Windows. 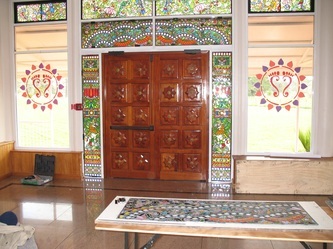 This will be the first time in the world Vedic Mythology will be presented in Stained Glass and this will the biggest display of Stained Glass in the World. 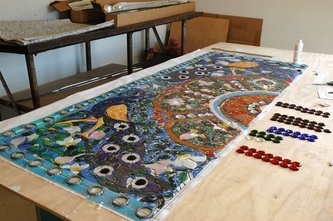 The Initial Twelve windows will be over eleven feet high and four feet wide. 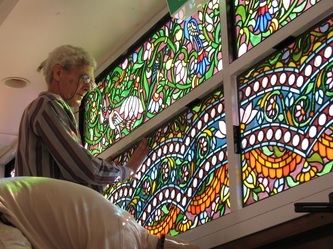 The next orty windows will be over Twelve feet high and six feet wide. 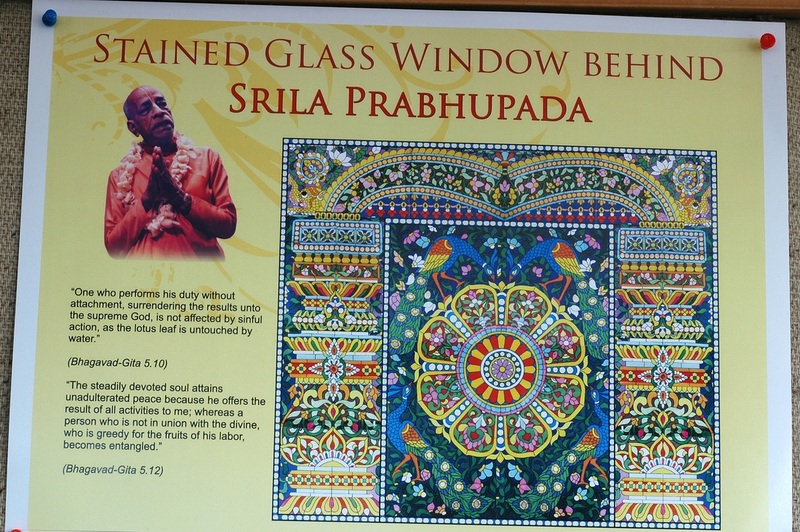 Our Master Artist Mr. Colin Greenwood had met His Divine Grace Srila Prabhupada in Melbourne in 1972 and since that day it has been his desire to create something exceptional in Stained Glass for the pleasure of Srila Prabhupada. 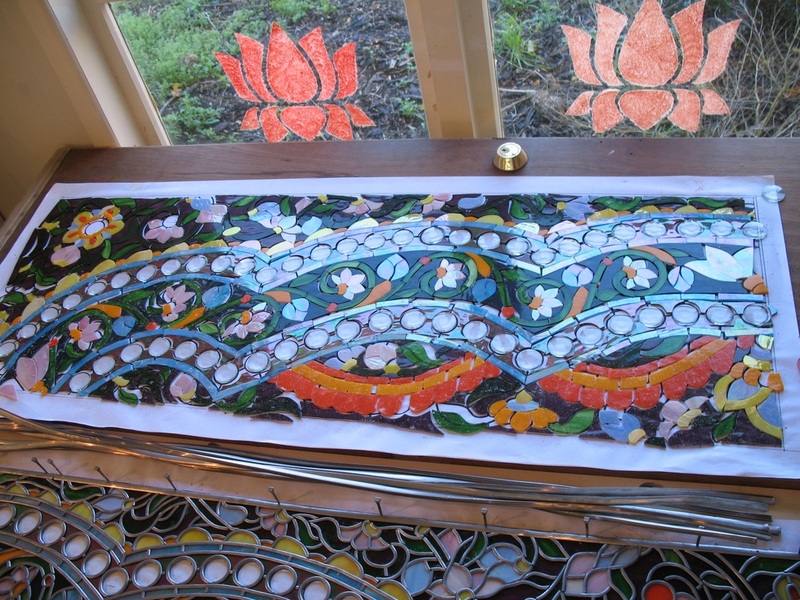 Mr. Greenwood has taken up residence here in the Si Sri Giridhari Dauji Mandir and has begun setting up the Studio and arranging the specialized materials in order to make this dream come true. 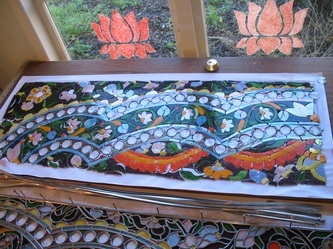 The first stage will be the Two Doorkeepers of Vaikuntha, Jaya and Vijay and Das Avartar. 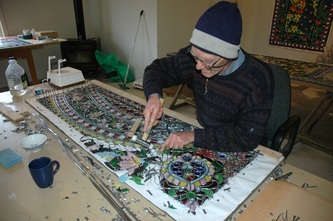 Designs for the first twelve windows are complete and the Glass and Lead about to arrive from Australia for the actual work to begin. 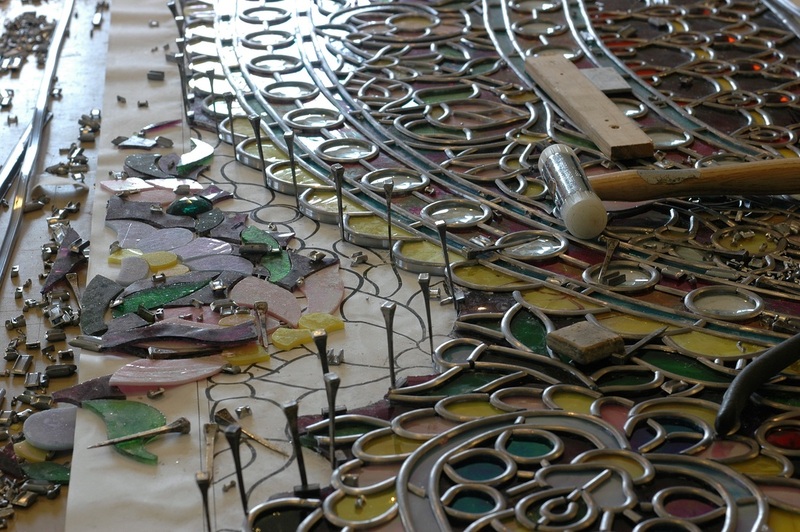 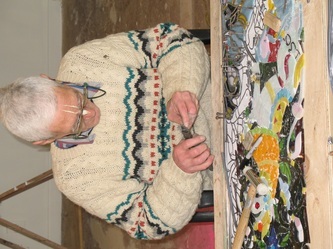 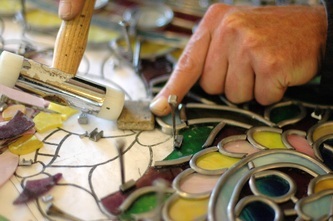 Each window will consist of over three thousand pieces of individually cut glass. A Kiln is being installed so that faces and details can be painted on to the glass and fired at high temperature giving a fantastic final finish. 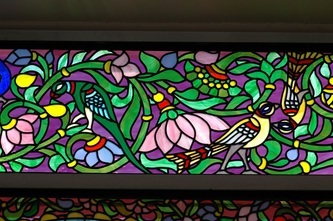 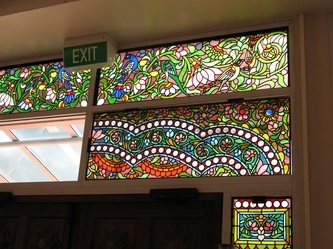 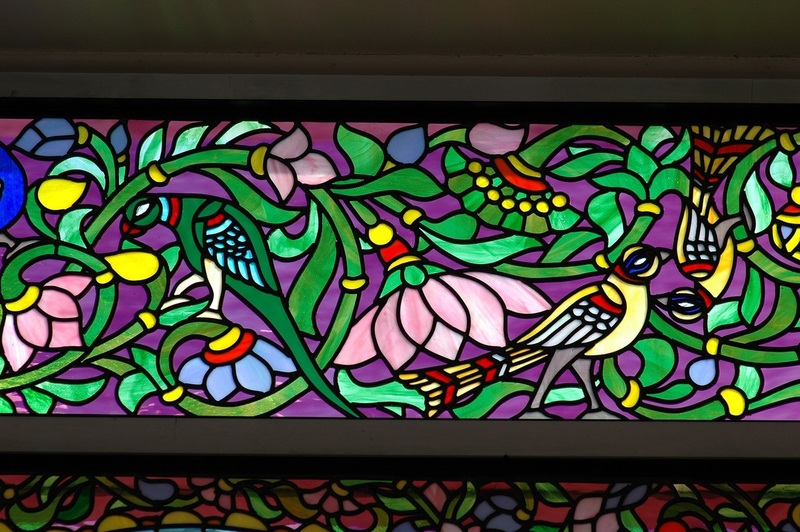 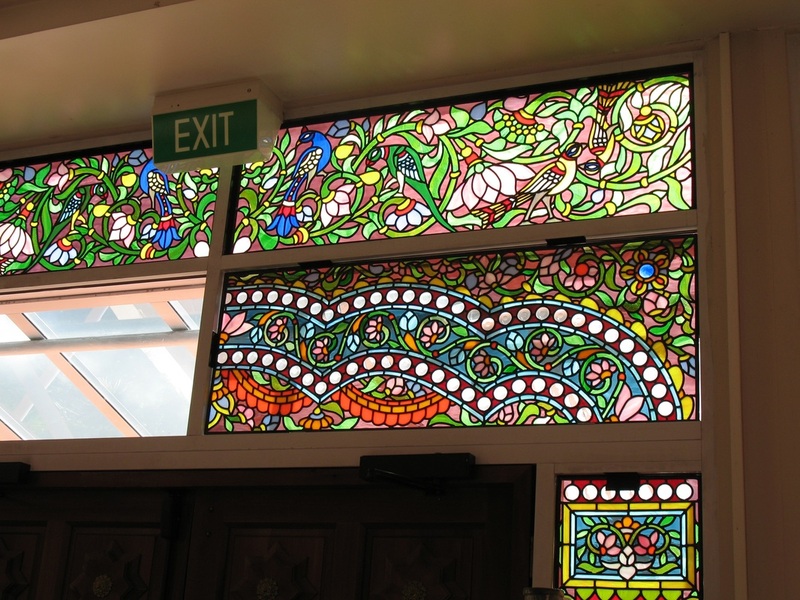 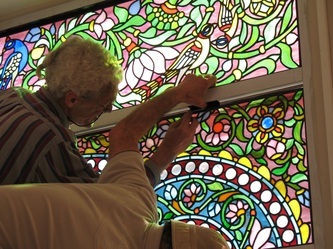 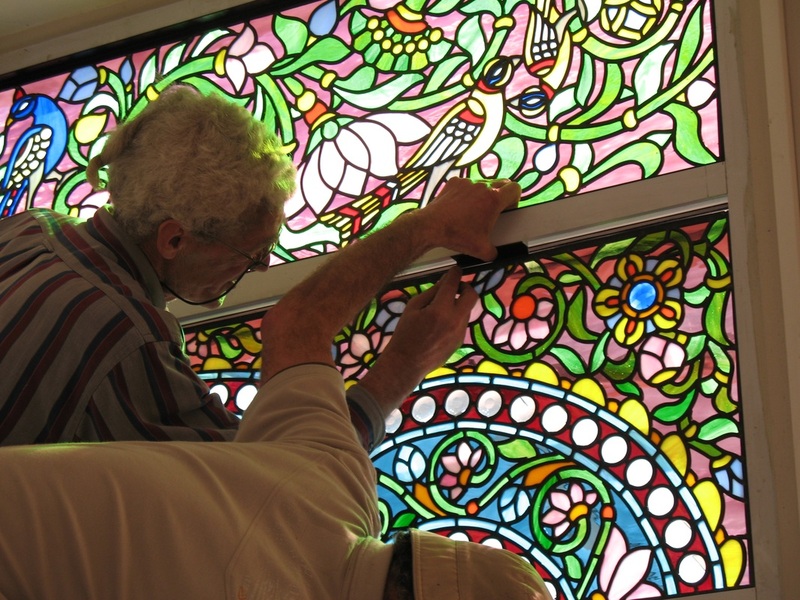 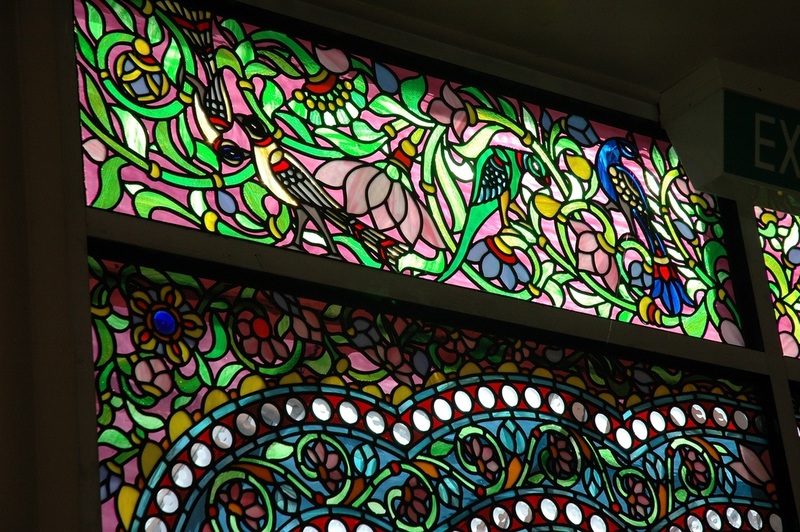 Members of the Australian and the American Stained Glass Societies are taking a keen interest in this project as they see it as a means to revive this dying Art Form. 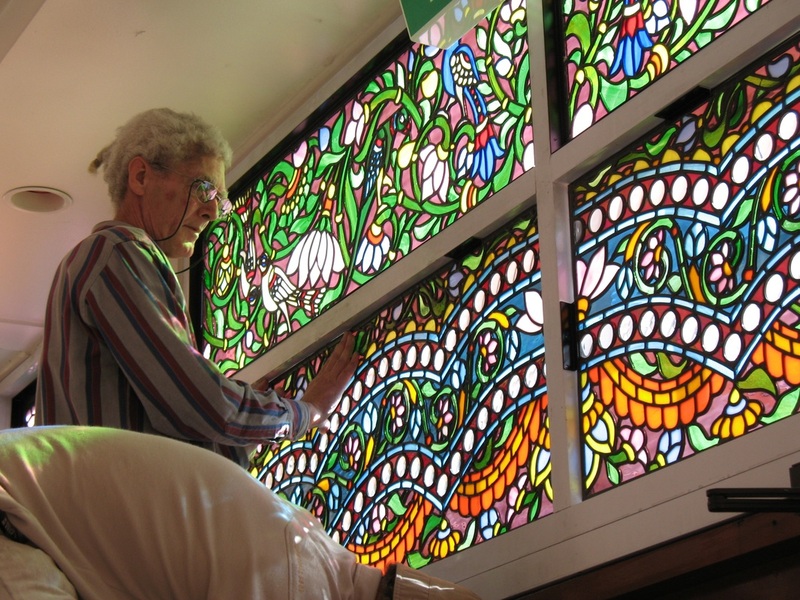 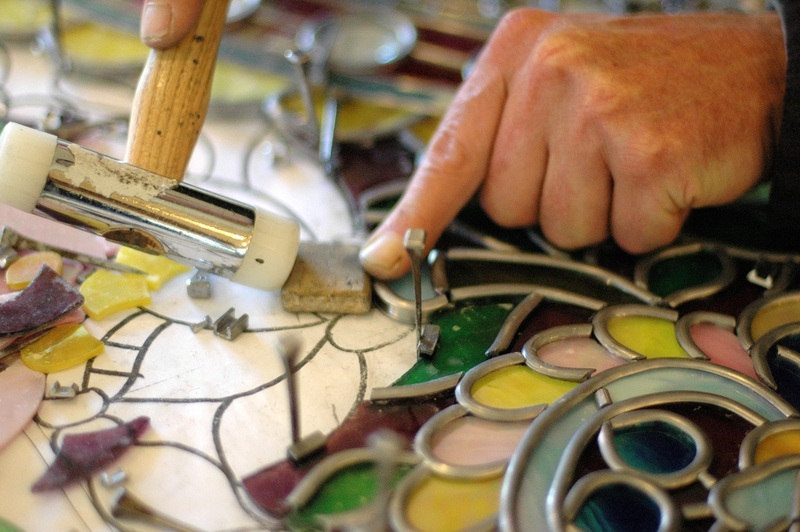 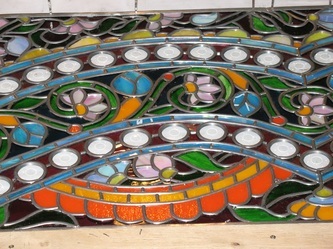 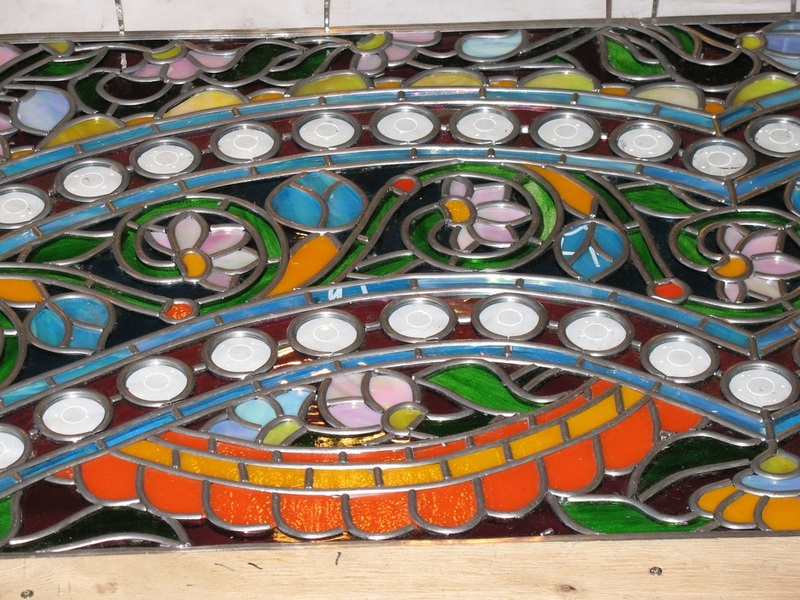 Mr. Greenwood will train a team of local artists in all the aspects of Creative Stained Glass Work thus in the future creating a new industry for Jaipur and Rajasthan. 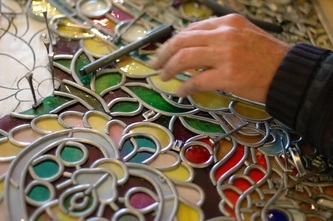 We do hope that every one will appreciate and support this valuable and exclusive work.